Highly absorbent machine washable extra soft Z stitched for strength – these multipurpose cloths can be used wet or dry for a multitude of purposes. The supersoft quilts help to trap dirt making cleaning easier. Made from high quality recycled materials. 5 packs of 2 cloths. 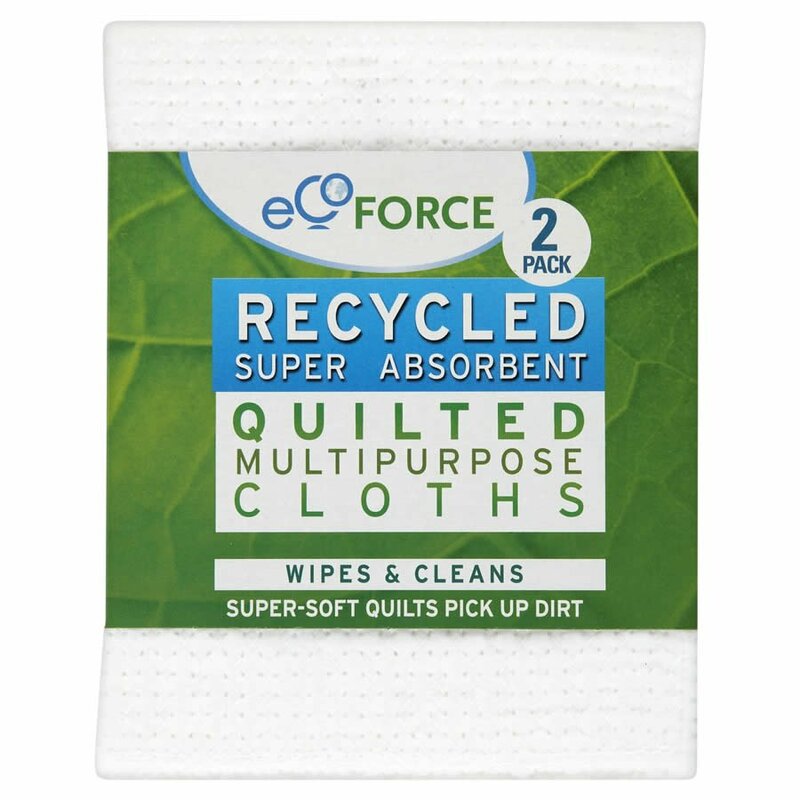 There are currently no questions to display about EcoForce Recycled Multipurpose Cloths - 2 Cloths.